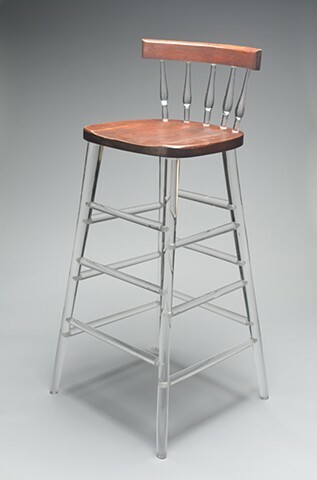 3" X 4.5" X 4.25"
2.25" x 5" x 3.5"
2.25" x 4.25" x 4"
3" x 4" x 3.25"
2.75" x 4.25" x 3.5"
37.75" x 17.5" x 17"
There are certain objects within our homes that we find essential for their designed function, but possibly more importantly, for the feeling they evoke. 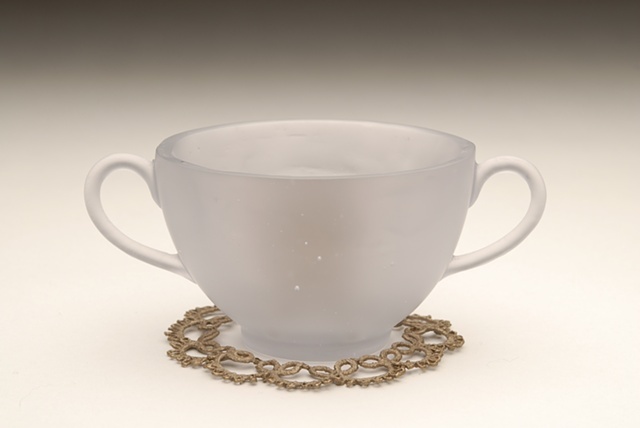 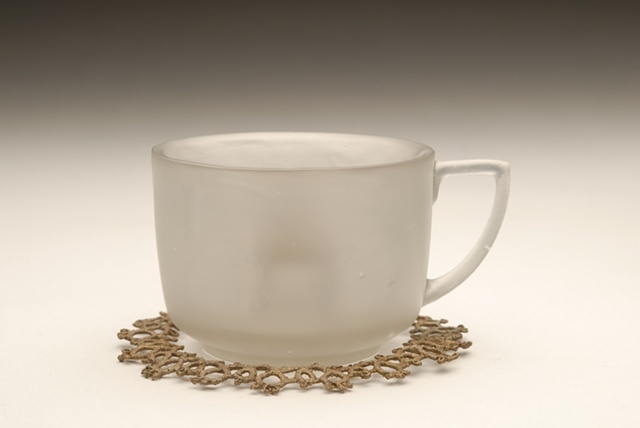 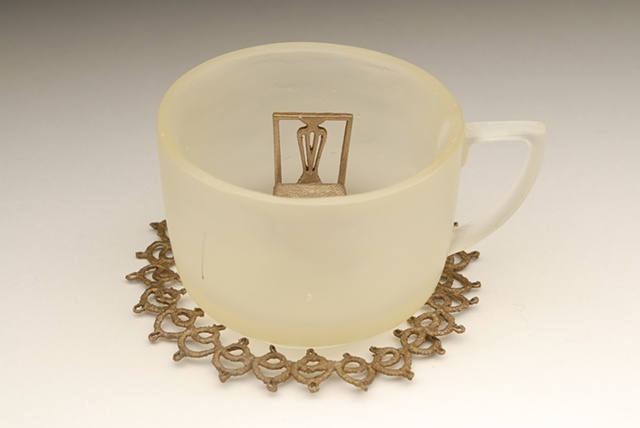 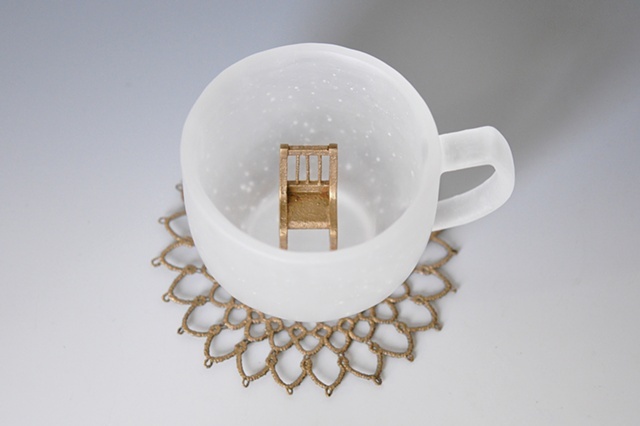 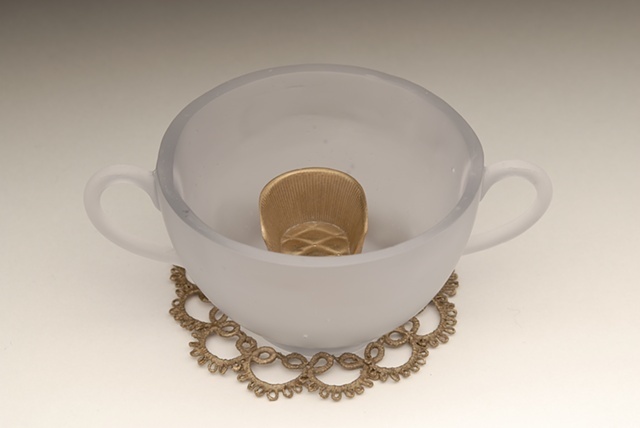 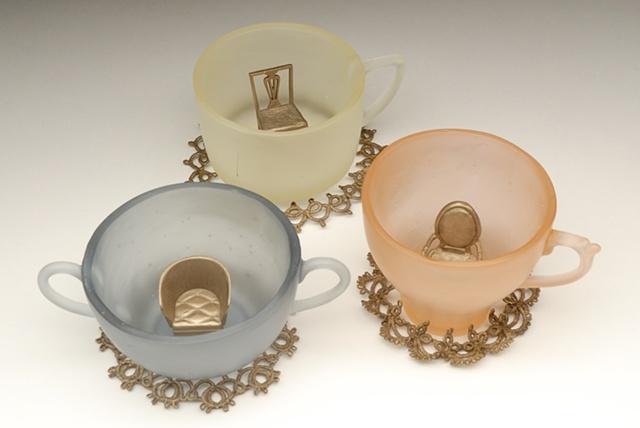 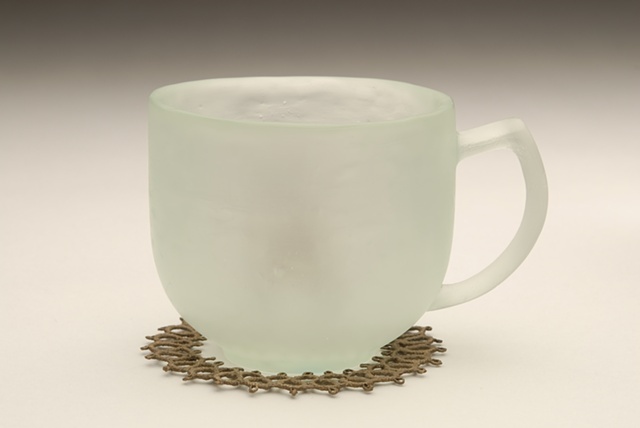 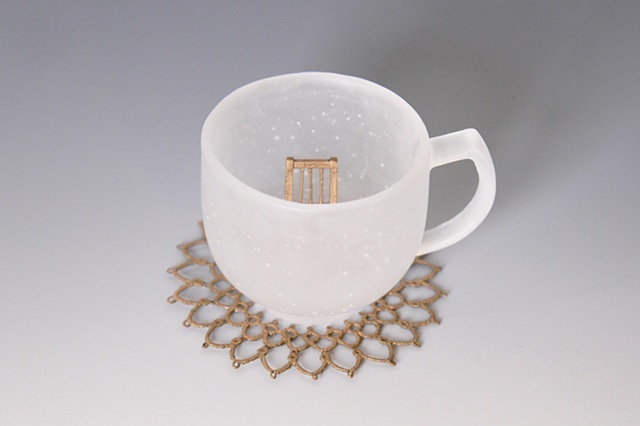 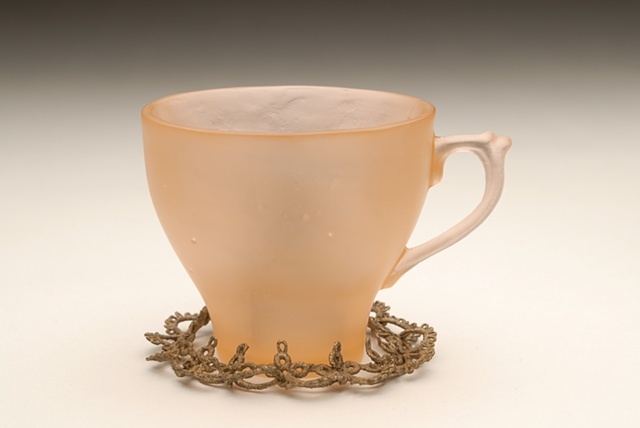 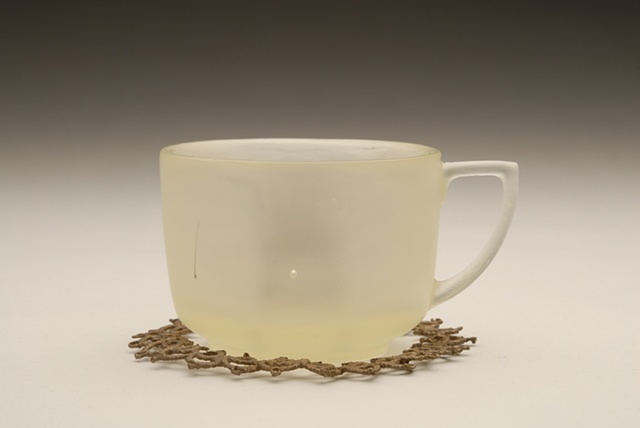 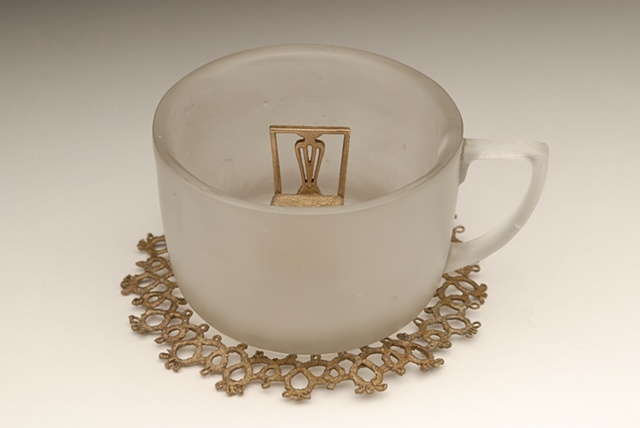 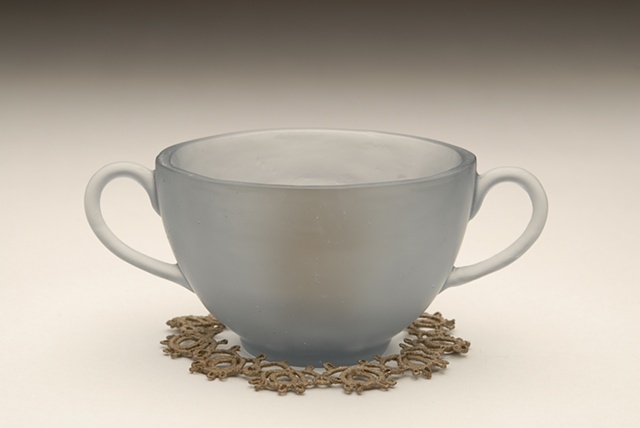 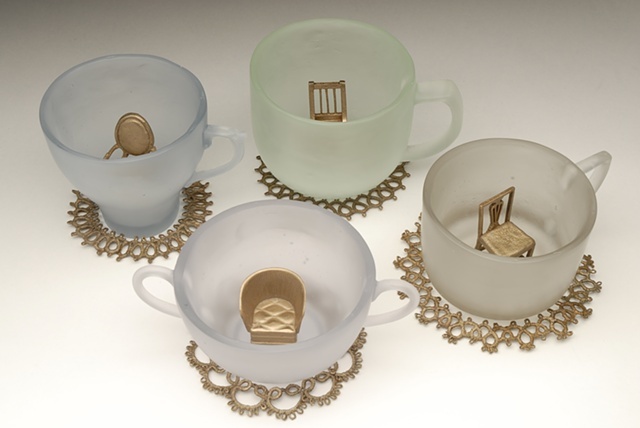 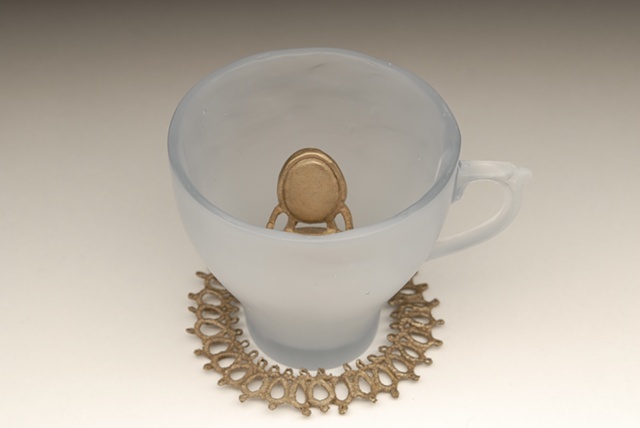 This series was modeled after a child’s peek-a-boo cup, which houses a small figurine at the bottom of the cup, encouraging the child to finish their drink. 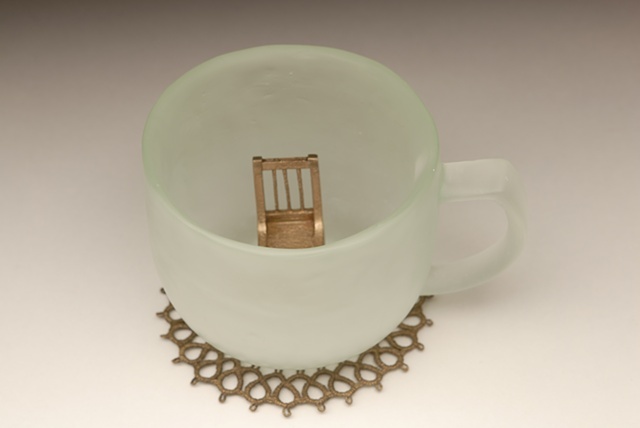 It’s an entertaining object that displays desire. 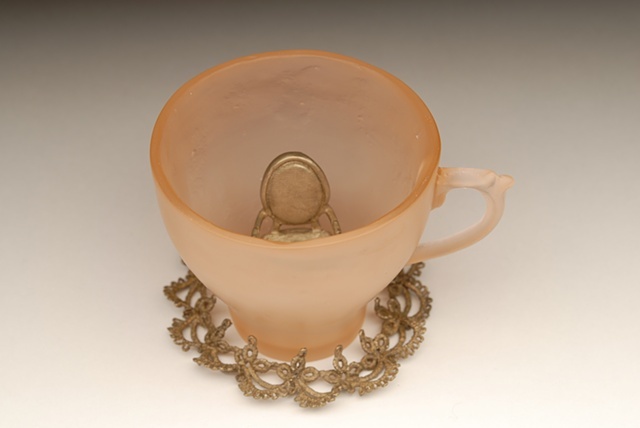 With this feeling in mind, I aimed to create a peek-a-boo cup for the adult. 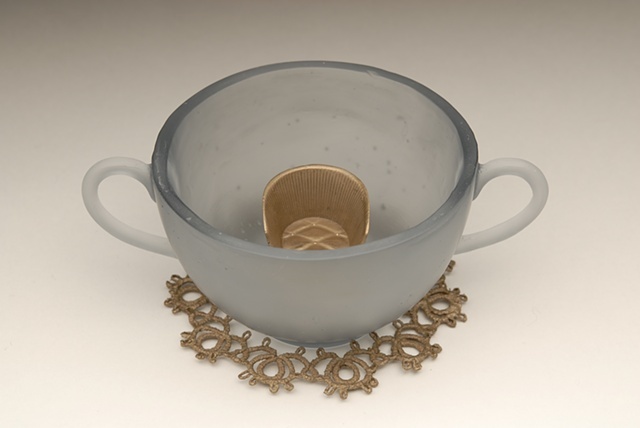 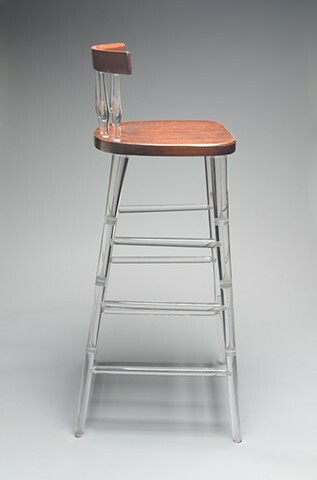 The object gazing up from the cup is symbolic of what people may desire most, stability.